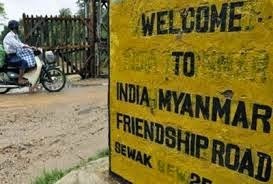 New Delhi, Mar 5 : India is in discussion with Myanmar to start a bus service between Imphal and Mandalay and a joint technical survey was carried out in January to finalise the route alignment, Minister of State for External Affairs VK Singh informed Lok Sabha today. “Government of India is in discussion with Government of Myanmar for starting cross border bus service between Imphal in Manipur and Mandalay in Myanmar. A Joint Technical Survey was carried out in January, 2015 for finalising the route alignment for the bus service,” Singh said in a written reply. He also said India, Bangladesh, Nepal and Bhutan are exploring the possibility of signing a sub-regional agreement on movement of motor vehicles. “Two rounds of negotiations have taken place,” he said, adding that the agreement would enhance connectivity, facilitate easy movement of passenger and goods vehicles and enhance cross border transportation. Singh said the leaders of SAARC, in the Declarations issued at the conclusion of Summit Meetings, called for realisation of the ideal of the South Asian Economic Union. He said a study has also been commissioned by SAARC and Asian Development Bank (ADB) to suggest ways and means for the achievement of the South Asian Economic Union.